NSW Premier Mike Baird, Minister for Transport and Infrastructure Andrew Constance and Minister for Planning Rob Stokes have unveiled the preferred route for the Parramatta Light Rail project, which will be built within a 22-kilometre corridor. 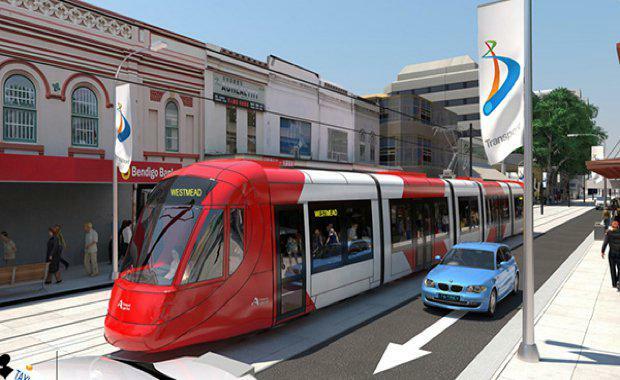 "The light rail network will help Parramatta reach its potential as Sydney’s second CBD and be a major boost to existing public transport services in Western Sydney. "The NSW Government investigated four short-listed corridors for light rail in Western Sydney and the preferred network includes a combination of two of these options. Mr Constance said: "Light rail will be a fantastic new public transport option for Western Sydney - we’ve started building in Sydney’s CBD, Newcastle light rail is on track and now progress for Western Sydney is about to crack on. "Mr Stokes said: "This will be a game changer for Sydney’s second CBD – the preferred route provides the most opportunity for new jobs and urban renewal. "Work will now begin on a final business case and assessment of the preferred network. This work will include planning, design and consultation with key stakeholders along the network to develop the staging of the project, the exact light rail route and stops, and the final project cost.